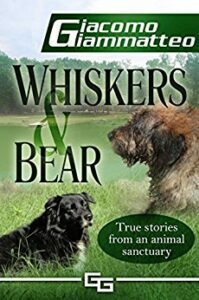 This week we’re delighted to turn the spotlight on a truly remarkable indie author who has achieved an extraordinary new record in the face of the kind of adversity that would have defeated those with a lesser spirit. Giacomo Giammatteo has just published his seventieth book – yes, 70 books! Read on to draw inspiration and motivation from Jim’s wise words, which spell out his love of helping others, as well as his delight in storytelling. Being able to produce quality work across the board – writing, editing, formatting, and covers. It seemed daunting at first, and I had to try out a couple of each the service providers until I found the ones I was happy with. To stop waiting for a traditional publisher. 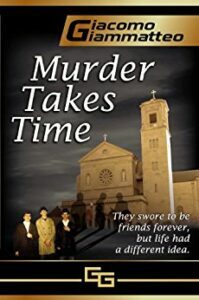 I may still have been waiting if I hadn’t decided to self-publish. The great support that the majority of the indie community gives to each other. It would be easy to turn your head and look the other way, but the vast majority of indie authors reach out and help others. It’s uplifting to see. Patience is my biggest challenge. I don’t like to wait for anything. I think I’ve become more patient since my strokes, but I continue to struggle with it. I guess I’m one of the fortunate ones. I am never out of ideas, and I have never struggled with how to begin something. I can sit down and write for ten minutes, write while I’m at the doctor’s office (on my phone), or plop down for hours at a time. I think the proliferation of smart phones and tablets have made it easier. With a good smart phone or tablet, you can write almost anywhere at anytime, and when you get back to your computer, it’s a painless transition even if you don’t work with cloud backups. Again, I am one of the fortunate ones. I am always motivated. I never have a problem starting anything, whether it’s writing, doing chores (when I could do them), or anything else. I enjoy telling stories, and that’s what writing is. Even if it’s nonfiction, it is still telling stories in a way. At least, that’s how I look at it. One more thing is that as a writer, you have the opportunity to help people in ways that you may not have been able to before. An example is a project I recently finished. The current opioid crisis is killing people by the tens of thousands. 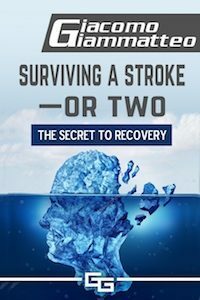 I wrote a book on that subject in conjunction with a local rehab facility, and we intend to give it away for free, hoping that people will take advantage of it. 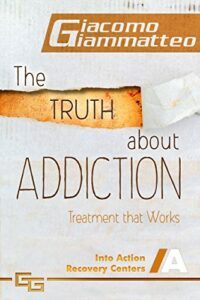 The book is called The Truth About Addiction , and it is on preorder now with a planned release of mid-June. After my strokes, it took me almost eighteen months to learn how to type again. I’m still exceptionally slow, but perseverance pays off. In 2017, the year after I learned to type again, I broke the world’s record for most books written and published in one year. It wasn’t a goal I had, but when I realized it was attainable, I went for it. The other thing is: don’t listen to anyone who says follow the rules. As far as I’m concerned, there are no writing rules, other than producing a good book. I imagine I’ll be writing until I die. I hope that’s not too soon. But there’s not much else for me to do now except write. 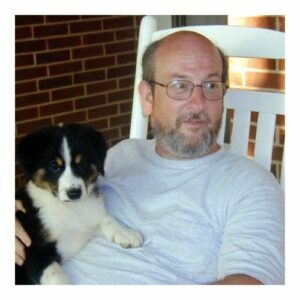 When I was working (prior to my strokes), I would write at night after my wife went to bed. That gave me a few hours per night. Now, I have nothing else to do other than go to therapy, so I write all day. I am only up to eBook #29 with about 10 more books planned. I can’t even fathom me reaching 70 books.